13.09.18 07:11;Account;Receive;Received Payment 29.16 USD from account U18103063 to account U1294000. Batch: 228178825. Memo: API Payment. Withdraw to allhyips from gbxprofit.info. 12.09.18 20:37;Account;Receive;Received Payment 29.16 USD from account U18103063 to account U1294000. Batch: 228146181. Memo: API Payment. Withdraw to allhyips from gbxprofit.info. 12.09.18 11:41;Account;Receive;Received Payment 6.63 USD from account U18103063 to account U1294000. Batch: 228085875. Memo: API Payment. 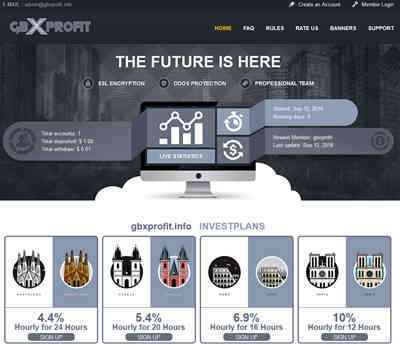 Withdraw to allhyips from gbxprofit.info.